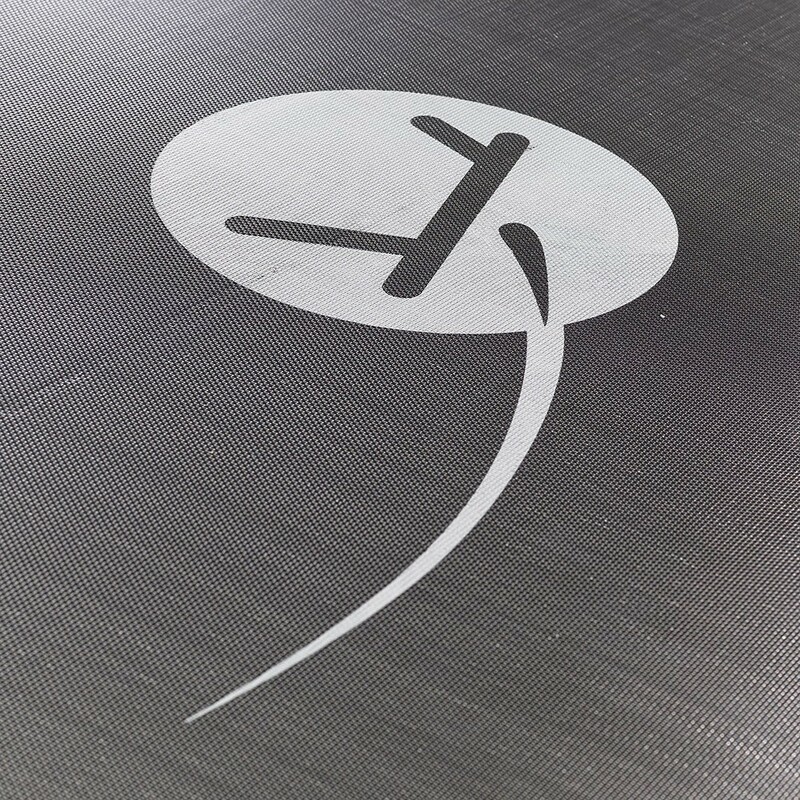 If your jumping mat is damaged, it is important to change it. 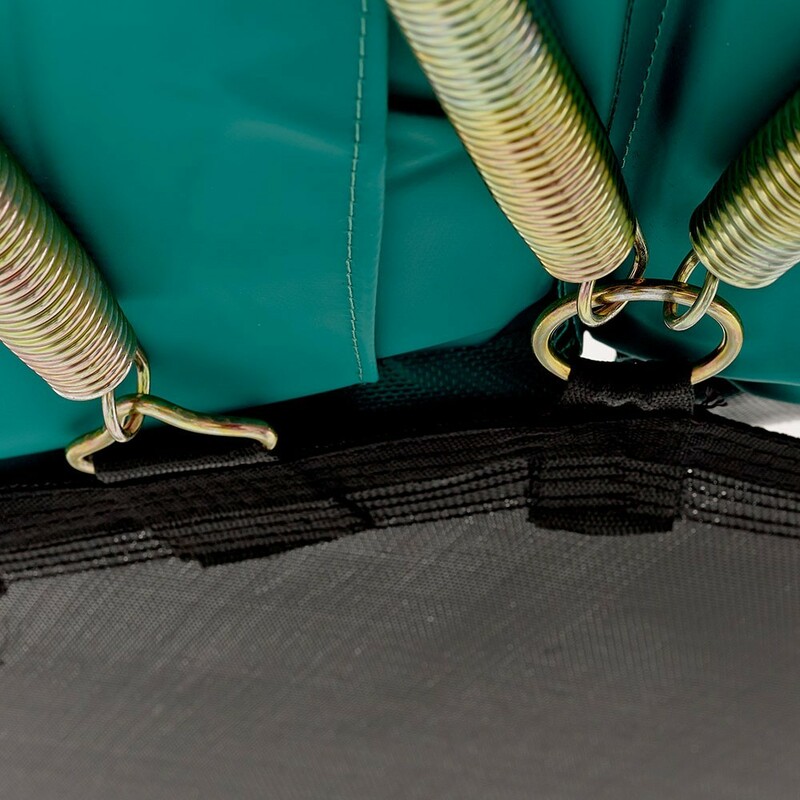 This jumping mat is adapted to any octagonal trampoline of 4.57 m by 4.27 m with 112 springs of 230 mm in length. It can be fitted to trampolines from any brand. 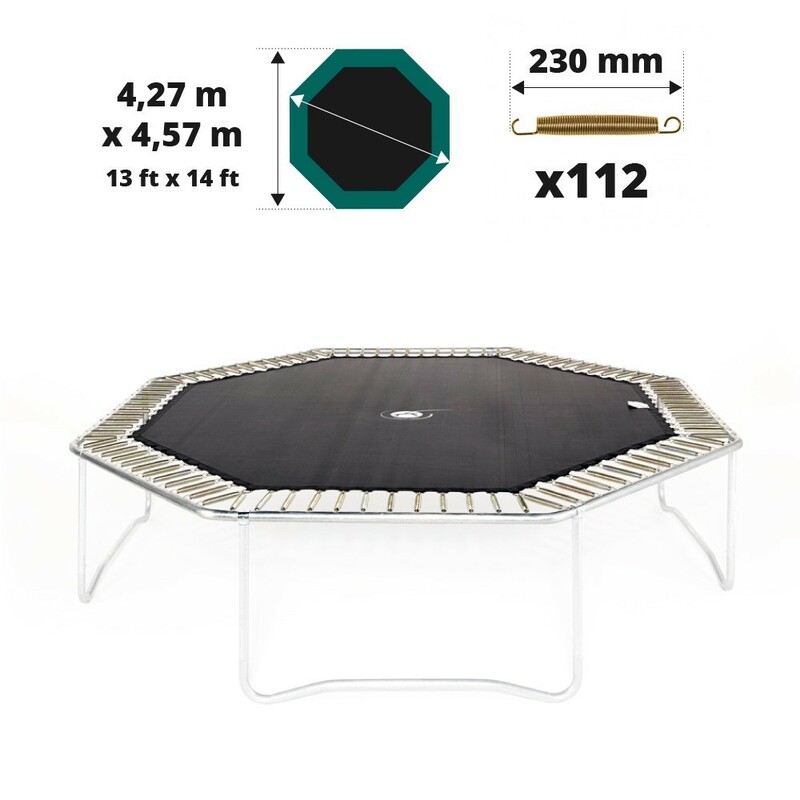 - The jumping mat has been designed for the octagonal Waouuh 460 trampoline. 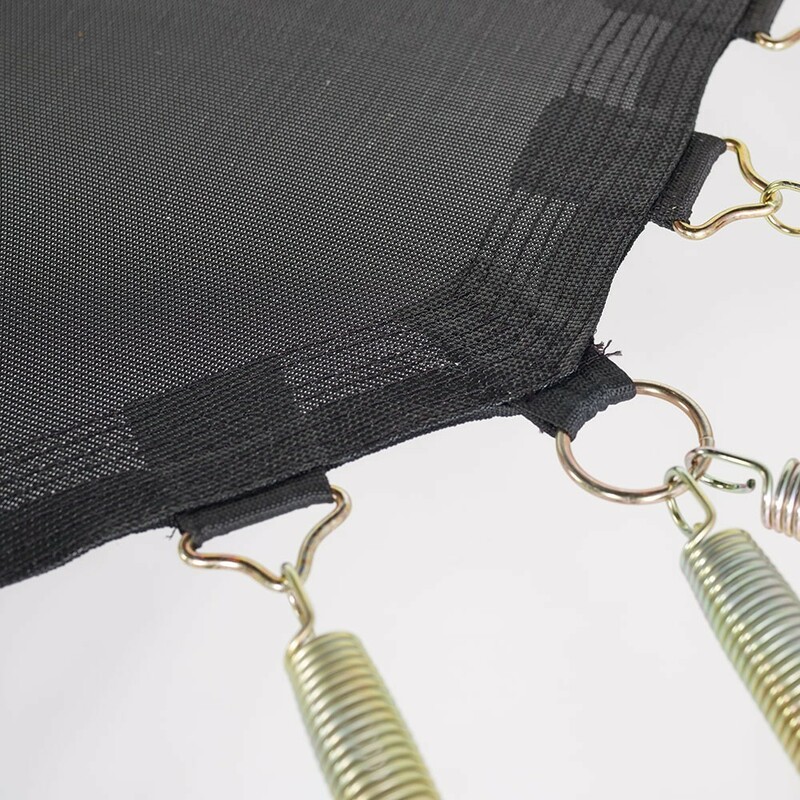 In order to make sure that this mat can be fitted to your trampoline, you must check if it has 112 springs of 230 mm in length. 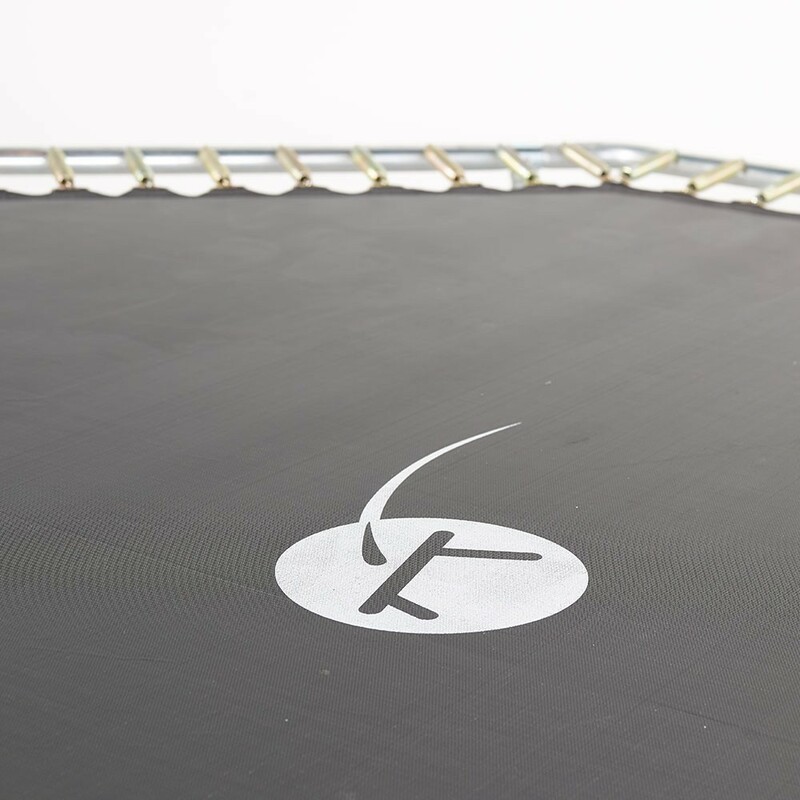 If you did not buy your trampoline at France Trampoline, but yours has the same measurements, the jumping mat will be perfectly adapted. 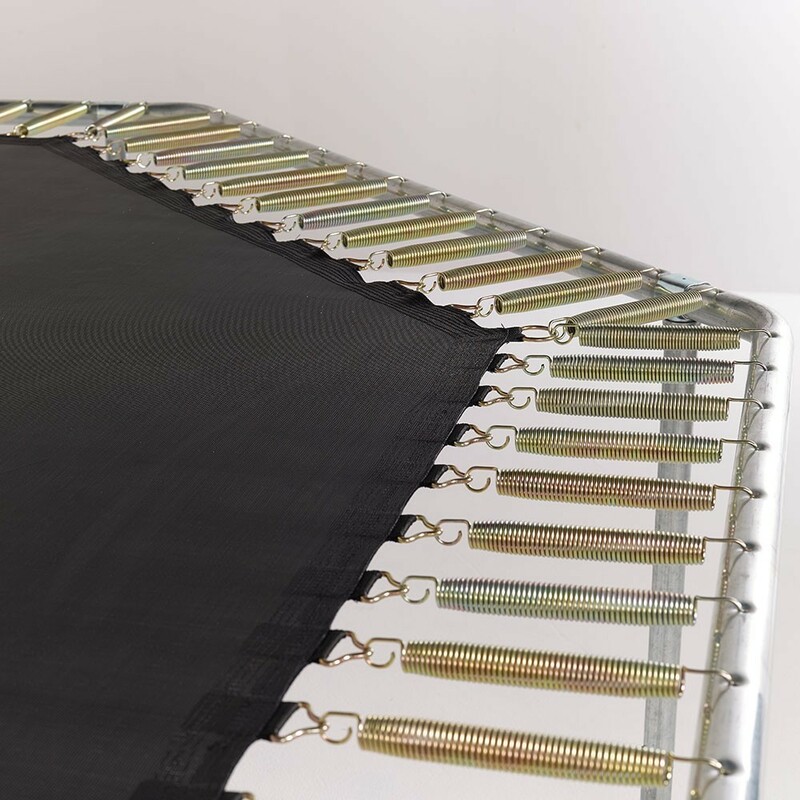 - Designed using black mesh, this jumping mat is incredibly weather proof and can remain outside all year round. 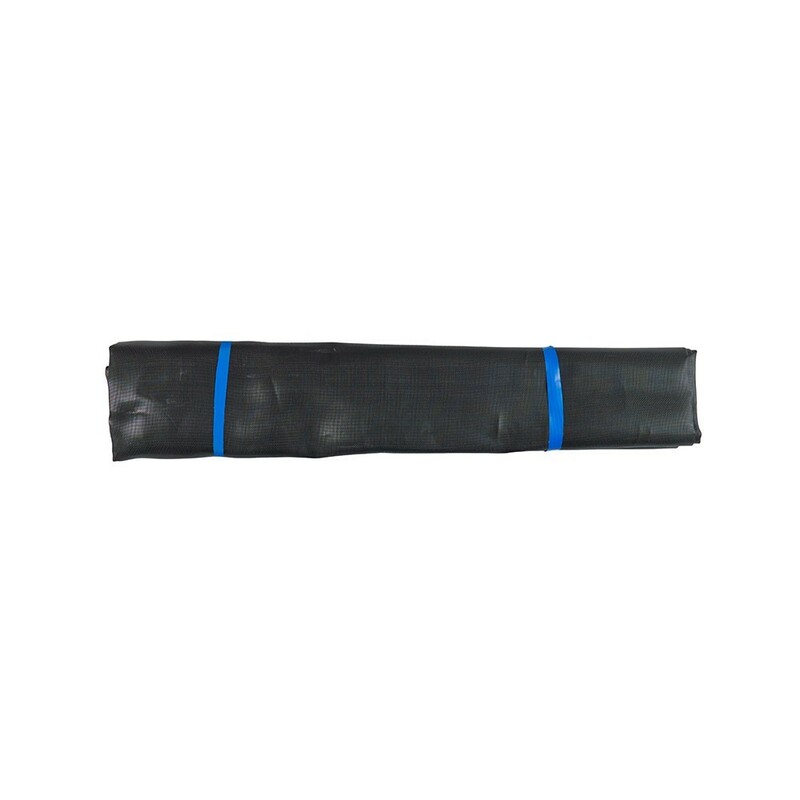 A UV protective coating has also been added to protect it from the sunlight and ensure its durability. 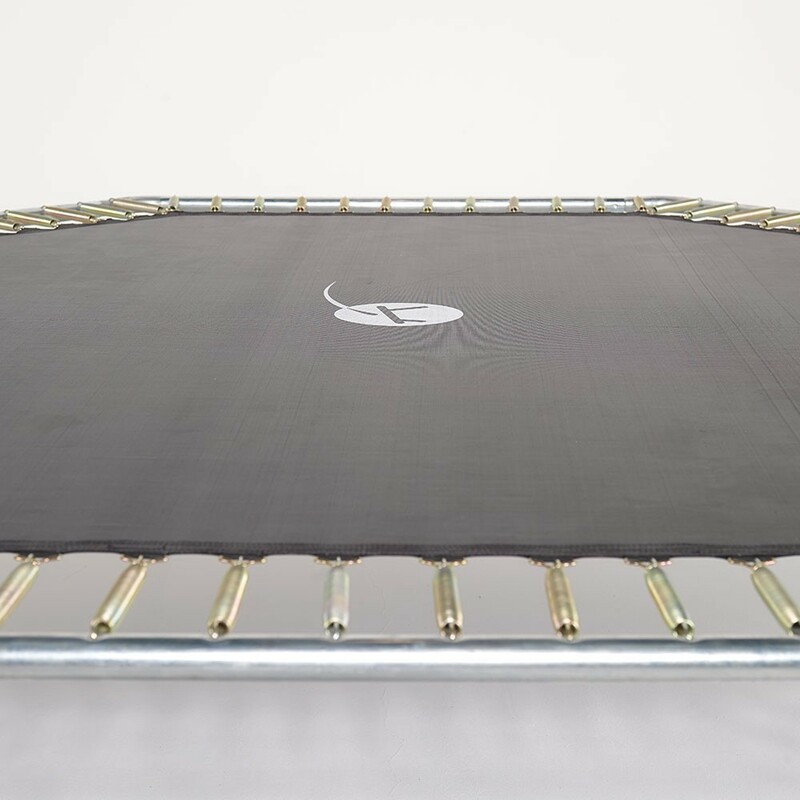 - Our jumping mats are held in place using 8 rows of stitches, strengthened with a reinforcement strip for even more safety. For optimal resistance, rustproof, hot-dip galvanised steel rings have been fixed to the end of these rows of stitches. 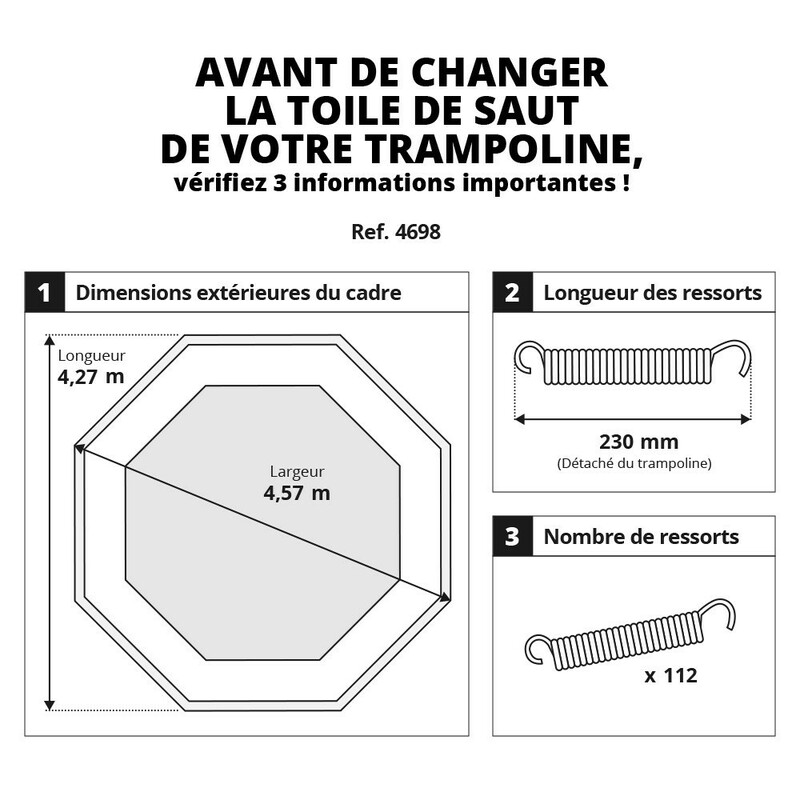 - Warning, your springs should measure no more or less than 230 mm. 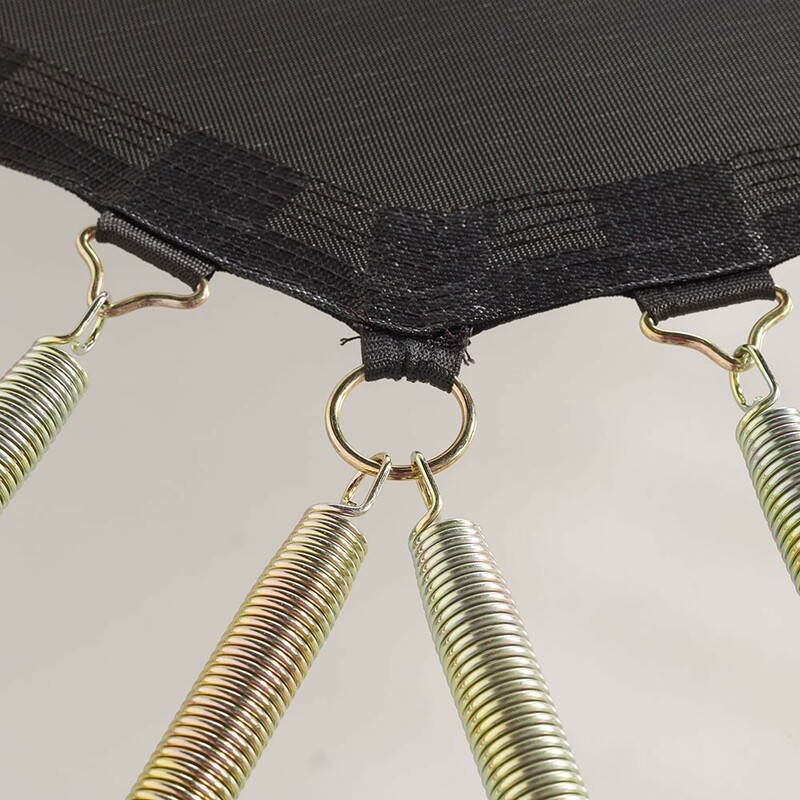 If it is not the case, this jumping mat is not adapted to your trampoline. You should therefore take these measurements carefully. Remove a spring by pressing firmly down in its centre to lift it. You can then measure it from hook to hook.